Designed for videographers and action photographers alike, the black Fujifilm X-T3 is a versatile mirrorless camera characterized by its high-speed performance, more-than-capable imaging, and multimedia flexibility. 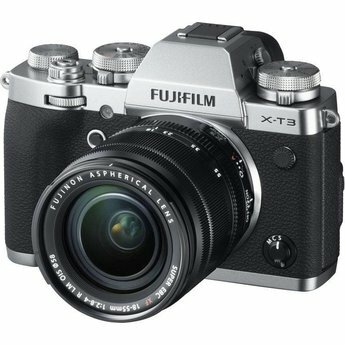 Launching X Series mirrorless digital cameras into its fourth generation, the FUJIFILM X-T3 features an all-new back-illuminated 26.1MP X-Trans CMOS 4 sensor and X-Processor 4 processor. Delivering superb image quality, dramatic AF performance, excellent tracking performance of fast-moving subjects and blackout-free burst shooting, the X-T3 is also the first APS-C mirrorless camera capable of 4K/60P 10bit recording to meet the needs of professional videographers. Fourth Generation Sensor and Processor. 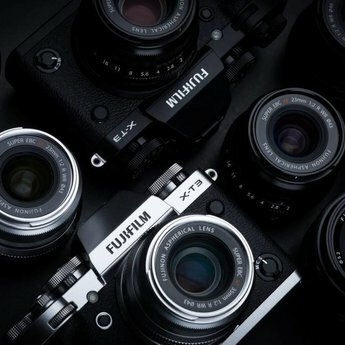 Featuring the fourth generation X-Trans CMOS 4 and X-Processor 4, the FUJIFILM X-T3 boasts the highest performance in the history of X Series. Utilizing the unique color filter array of X-Trans CMOS sensors to control moiré and false colors, it adopts the first, back-illuminated structure with increased phase detection pixels distributed across the surface to improve image resolution without compromising signal to noise ratio. With the X-T3, ISO160, previously available in the X Series line only as extended ISO, is now part of the normal ISO range, perfect for use in daylight with outdoor shooting or when trying to achieve bokeh with a fast, large-aperture lens. 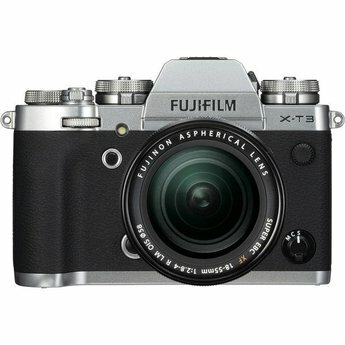 Furthermore, the X-Processor 4’s high processing speed and excellent phase detection algorithm means the camera refocuses (AF) and meters (AE) 1.5 times more frequently than the X-T2, to enable accurate autofocus even when shooting scenes that present fast, erratic movements across the frame, such as sports photography. The performance of Face Detection AF on a moving person has also been improved. Eye Detection AF now supports the AF-C mode to maintain accurate focus tracking even in portrait photography involving movements. Face and Eye Detection AF is also available during video recording to achieve smooth filming of subjects. The X-T3 offers photographers incredible viewfinder performance, with the ability to now track a moving subject using a 3.69-million-dot high resolution EVF with a high magnification ratio of 0.75x. Further, the X-T3 allows continuous shooting of 11fps using the mechanical shutter without the optional vertical battery grip, enabling fast, continuous shooting while maintaining a low weight. 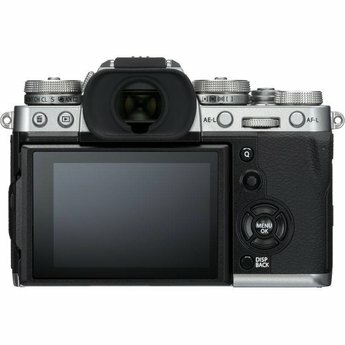 The X-T3 is the first mirrorless digital camera capable of internal SD card 4K/60P 4:2:0 10bit recording and the first mirrorless digital camera with APS-C or larger sensor that is capable of 4K/60P 4:2:2 10bit HDMI output. Supported video formats include the widely-used H.264/MPEG-4 AVC as well as H.265/HEVC for exceptional data compression, which enables the use of high 200Mbps bitrate as well as simultaneous HDMI output while recording. There has been an increase in the X-T3 sensor’s read speed from that of the X-T2, to enable fast 17msec reading of 4K/60P video, and a reduction in the rolling shutter distortion for smooth replay of a fast-moving subject. 10bit color depth for video boosts the amount of color information 64 times compared to 8bit, and is combined with approximately 12 stops dynamic range to enable capture of subjects with rich gradation of color. Also introduced in the X-T3 is a new noise reduction algorithm and 4K inter-frame noise reduction, and the minimum sensitivity for shooting F-Log footage has been lowered from ISO800 to ISO640, further enhancing the camera’s performance to meet the needs of videographers.